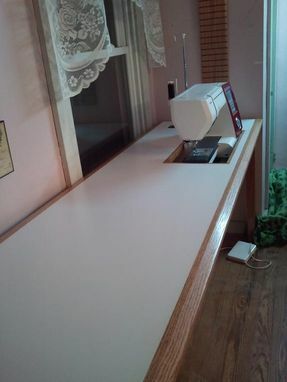 This sewing table was made 8 feet long to fill and entire wall with only 4 legs at the corners so that anything and everything could be stored underneath. 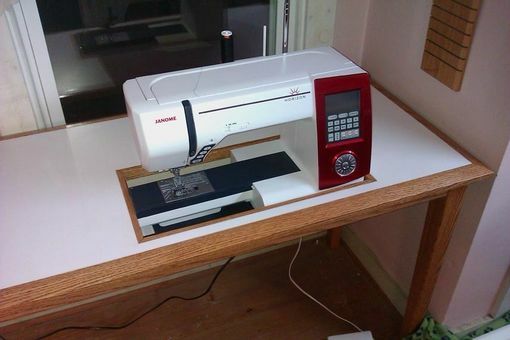 The recess in the top was sized for the specific machine which sits on an adjustable shelf. The table has a plastic laminate top and all trim is solid oak.